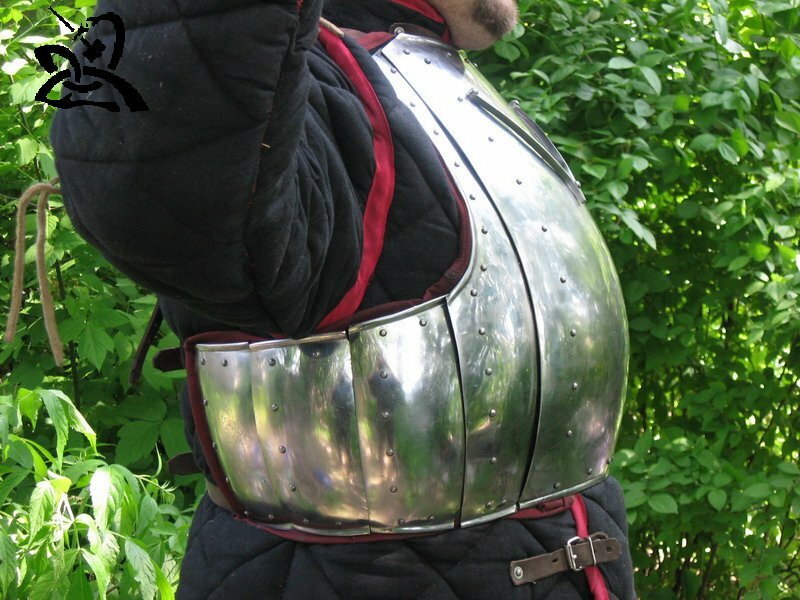 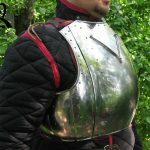 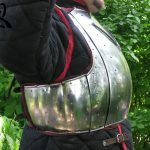 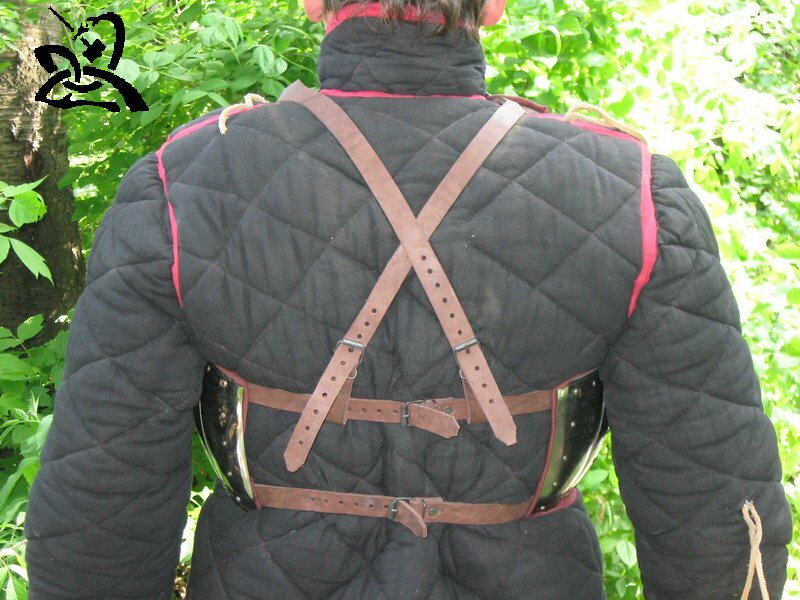 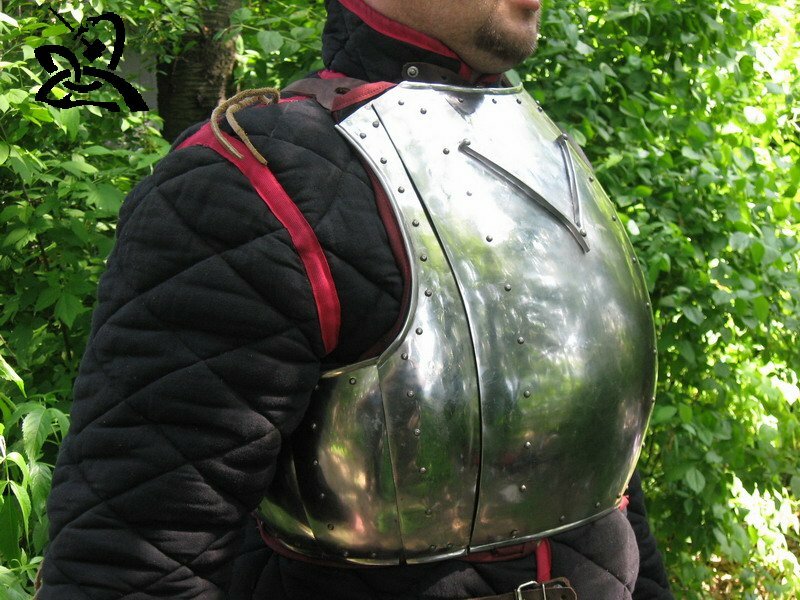 Cuirass is made from a cold rolled steel, thickness – 1,5 mm. 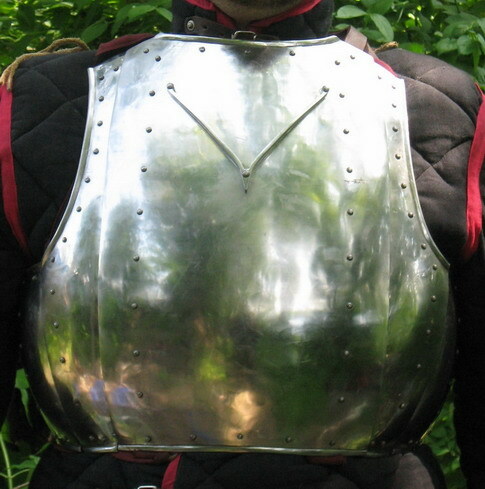 Rolled edges at arm holes and neck. 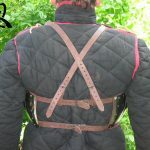 Leather straps with steel buckles are included.